The US Tennis Association was left red-faced after part of the German national anthem used during the Nazi era was sung at the Fed Cup tournament in Hawaii. 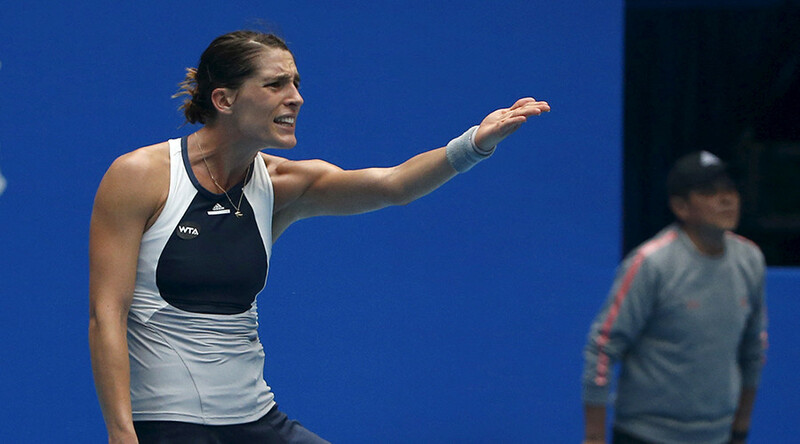 Germany’s Andrea Petkovic described it as “the worst thing that has ever happened to me." The offensive first stanza has been banned in Germany since the end of the Second World War, but it was precisely those bars that were sung during the opening ceremony of the quarter final match on Saturday between the Alison Riske of the US and Germany’s Andrea Petkovic. Riske subsequently beat Petkovic, who described hearing the verse as the “epitome of ignorance" and that she had considered abandoning the game before it even started. Petkovic’s teammates and traveling fans attempted to drown out the outdated tune by singing the correct “Einigkeit und Recht und Freiheit” (Unity and justice and freedom) verse over the now frowned-upon Nazi version. “In no way did we mean any disrespect. This mistake will not occur again, and the correct anthem will be performed for the remainder of this first-round tie,” it said in a statement. German tennis federation chief Ulrich Klaus acknowledged the apology, but described the error as "both shocking and disturbing." "The USTA through its president Katrina Adams has apologized officially in writing and in person and deeply regrets the blunder," Ulrich said in a statement.